At Galiana Creations we have been busy getting goodies ready for our 2017 shows. 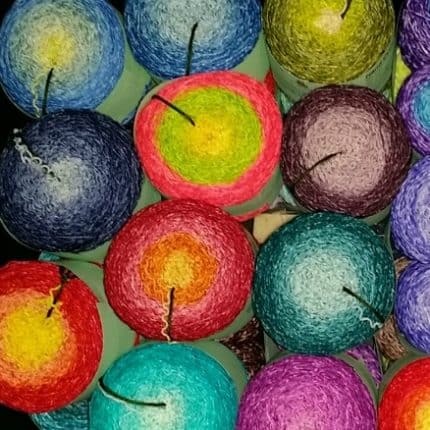 Steel City Fiber Festival in Allentown, PA, is next weekend, April 8th and 9th. There is a chartered bus round trip from the city. If you’re interested, feel free to check out the Festival’s website. It’s a day trip and the bus will depart from right outside Penn station. At Steel City we will premiering our Yummy Minis. Set of six skeins in gorgeous colors. 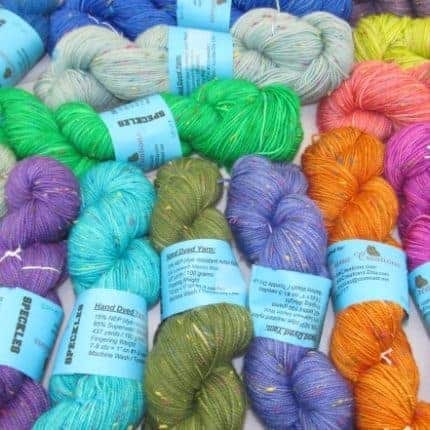 Each skein is over 90 yards! Just imagine all you can create with 540 yards of Yummy goodness. Also we are offering for the first time YAK!!!!!!!!!!!!!!!!!!! 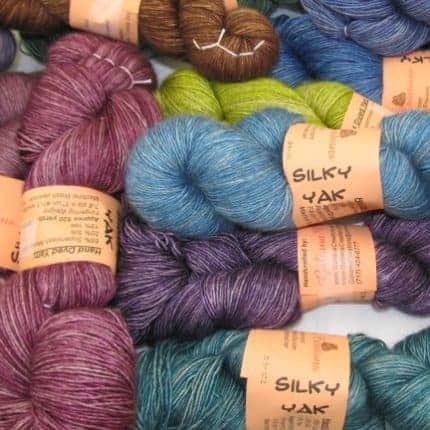 Our new Silky Yak is approximately 522 yards of silk, yak and Merino wool blended to create a luxurious yarn. Speckles are back! 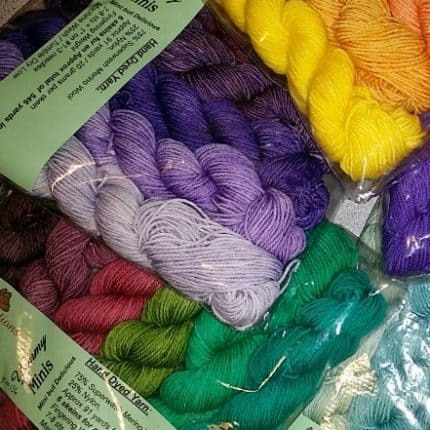 Fun yarn full of color and of course GRADIENTS!!! Lots of gradients, project bags plus many other surprises. I can’t wait! Welcome to Galiana (Golly-on-a) Creations! 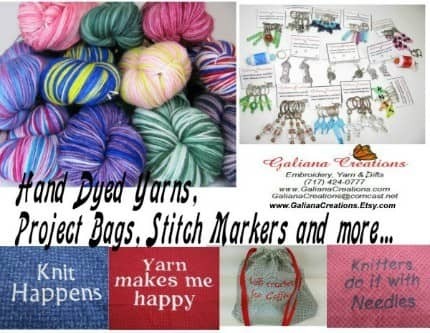 Galiana Creations is a family owned and operated Fiber Arts and craft business in Dallastown, Pennsylvania. 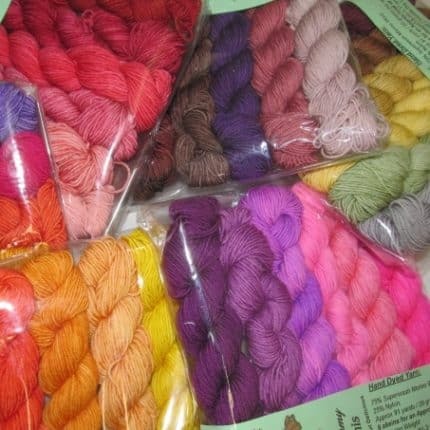 • Hand Dyed Yarn in a variety of fiber blends. • Project Bags, with or without catchy fiber sayings. • Stitch Markers, large and small, as unique as your personality. • Earrings that show off your love of fiber or your individual style. • and a wide variety of other items. We can also do custom orders. 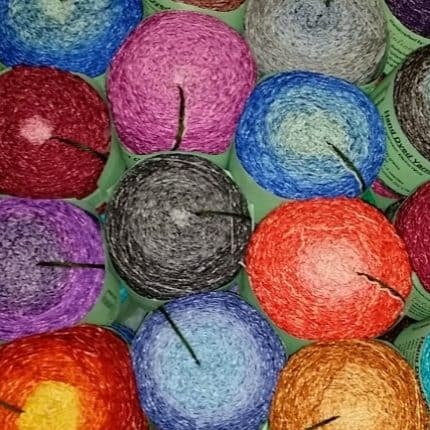 It is time to start knitting all those Fall and Winter projects and we have the yarns for you! And to help you get in the spirit, we are offering a 10% discount in our Etsy shop. Just enter FRIENDSFAMILY10 during checkout to receive your 10% discount.